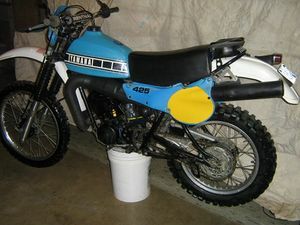 The Yamaha IT425 is a motorcycle produced by Yamaha in 1980. 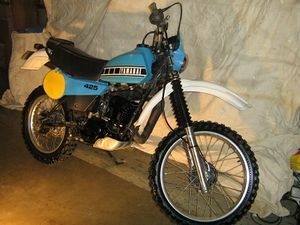 The Yamaha IT425 was an enduro motorcycle produced by Yamaha only in 1980. This bike was only produced for 1980. 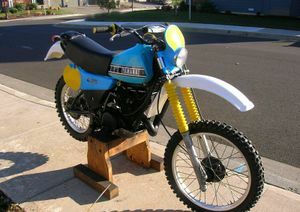 The engine for this machine was the ill fated 1979 YZ400. The bore was increased from 82mm to 85mm (the common size for previous YZ400s) which gave this engine more life than the YZ400 that it was spawned from. 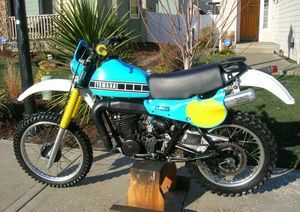 Tom's 1980 Yamaha IT425G:Location,Upper Etter MN. 12" ground clearance at 245 lbs.color was called Sky Blue. This page was last edited on 28 November 2010, at 22:37.